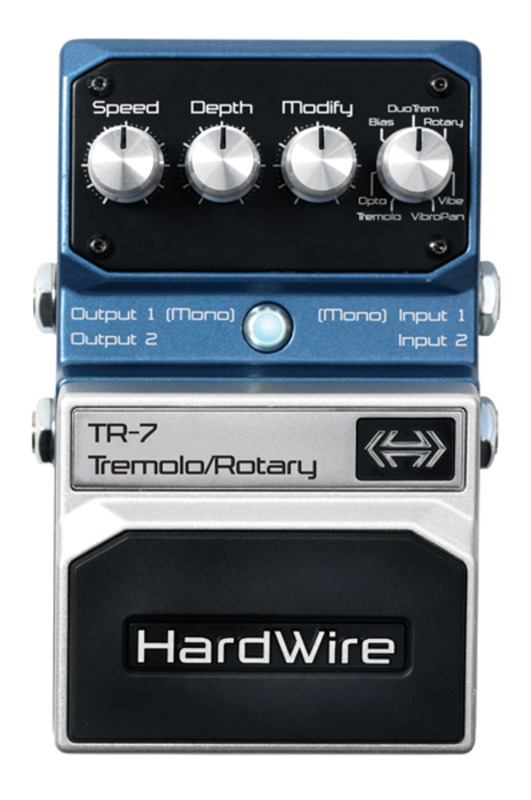 SALT LAKE CITY, Utah -- HardWire®, a leading manufacturer of guitar pedals, has announced the new TR-7 Tremolo/Rotary Pedal at the 2010 Summer NAMM® Show in Nashville, Tennessee. The TR-7 is a true stereo tremolo, rotary, and vibrato pedal, which offers effects ranging from traditional tremolo to a highly-detailed rotary cabinet simulator. It also features true stereo I/O, allowing for complex connections and sounds with extreme flexibility.